Great tri-level home with so many updates and ready for move-in! Beautiful hardwood flooring throughout living and dining rooms as well as all bedrooms. New ceramic tile flooring in powder room, hall bath and kitchen. Kitchen features all new stainless steel appliances and new Corian countertops. Spacious family room has a great brick fireplace and new carpet, with access to the backyard. Master bedroom affords extra storage with two closets, and has adjacent master bath with separate shower. Third bedroom has a closet plus an additional storage space. Enjoy time out on the patio overlooking the large back yard with mature landscaping! Newer windows, brand-new roof 2018! Close to park and shopping--don't miss this one! 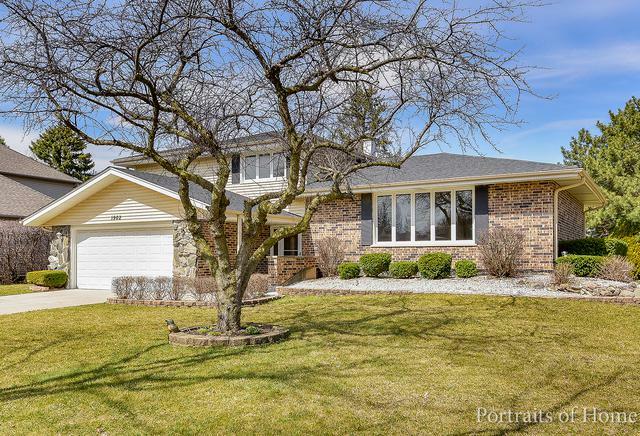 Sold by Realty Executives Midwest.